wheeee. look-at-me-watari-I'm-a-plane yes-sir-that's-very-nice-sir. Wallpaper and background images in the Death Note club tagged: death note watari l ryuuzaki. OMG!! that is so funny!!! OOOOOooooh ! I saw this drawing ages ago !! It's too funny !! L is like wee!!!! He's so cute!!! 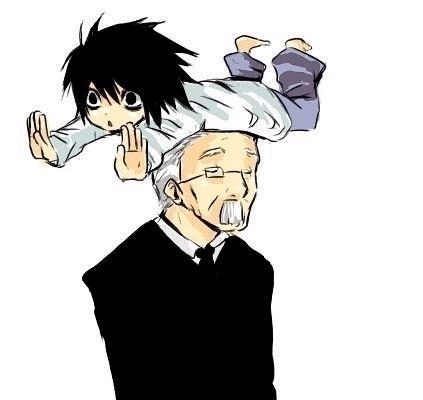 L looks like he is about to say "wait" or "stop" and Watari looks like he is about to say "This is what I get paid for?"